The movement has no leaders — at least not yet. In the style pioneered by the Arab Spring uprisings in Tunisia and Egypt and Occupy Wall Street in the United States, it's been organized in a decentralized manner on social media. As a consequence, it gives the appearance of being apolitical, although as one journalist told Sputnik Monday, their message is in fact deeply political. 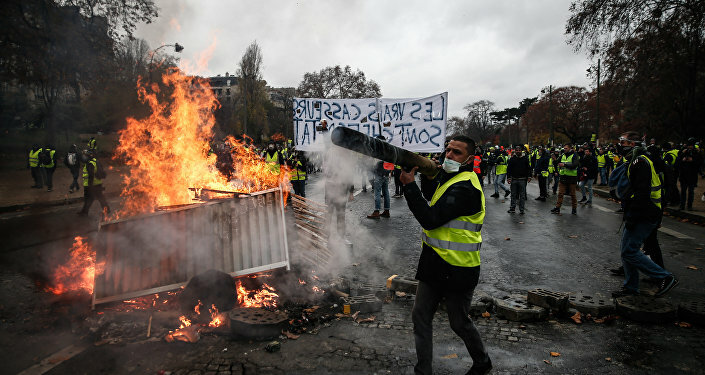 ​Aside from rescinding the diesel fuel price increase, the Gilets Jaunes demand the end of the "green taxes" on fossil fuels and the reinstatement of the solidarity tax on wealth, which was replaced earlier this year with a tax on real estate that leaves financial assets untouched. People "are in the red and can't afford to eat," Idir Ghanes, a 42-year-old unemployed computer technician from Paris, told the Guardian. "President [Emmanuel] Macron has not listened to the ordinary French and doesn't understand the concerns of their daily lives," said Florence, who works for an air freight company outside Paris. "When he appears on television we have the impression he is uncomfortable with normal people, that there is a certain contempt for us." On Monday, the protests acquired a new contingent: grade school students. Protesting education reforms they say limit the universal right of students to a university education, students blocked over 100 schools and fought back against police who tried to disperse them on Monday, Sputnik reported. Radio Sputnik's Loud and Clear spoke with French journalist and editor-in-chief of News Junkie Post Gilbert Mercier about the Yellow Vests movement, what's behind it, and where he thinks it's going. ​Mercier told hosts John Kiriakou and Brian Becker that the yellow safety vest symbolizes working people, saying "it is the revolt of the working class and retirees" against the powers that be "in the suits of the political class and the CEOs." "Some people have compared it, even in France, to May 1968, but the demographic is rather different, because we're talking about a much wider" group of people, he noted. The May 1968 protests that rocked Paris and other cities in France were driven primarily by student protesters, although many workers joined them, such as those that occupied several Renault factories across the country. "Today, the high school students massively joined the Gilet Jaunes all over France, and they actually clashed with the CRS, with the riot police." However, despite the injection of students into this movement, it's still not like 1968, he said, because 1968 was more about "freedom as opposed to social justice" and against the "authority of the parents," also tapping into the "vein of the sexual revolution," he said, somewhat comparable to the hippie movement in the US "of peace and love." "So this is not what it's about; this is about bread and butter; it's not about freedom," Mercier told Sputnik. "If I was going to make an analogy, and that should be extremely scary for the Macron administration, this is more like the French sans-culottes," the urban workers who drove the increasing radicalization of the French Revolution in the late 18th century. ​Mercier noted how the media's talk of "urban guerrilla warfare" and images of burning cars and buildings surprised a lot of people, but said that the media's reporting on the riots was "taking away its political content" by using words like "casseur" (literally "breaker" in French) to describe the demonstrators. "They're more like ‘insurgent,'" he said, "they're not casseurs; that just means breaking things for no reason." "They break things for a reason, and I'll tell you why: the weekend before, the target were luxury stores that most French people cannot afford, like Louis Vuitton, Christian Dior. This weekend it was also banks, a lot of banks have been targeted, because of what it is: it's really an anti-capitalist movement. This is what it is at its core. Even if it is not using a person, or Marxist ideology, but this is what it is." Mercier noted the interesting juxtaposition of statistics: while 75 percent of French people support the Gilets Jaunes movement, Macron's approval rating is only 25 percent. "You see, this is disconnect… there's a disconnect between almost all world leaders and their people. This is what's going on in France, and the thing is, what people should keep in mind in France… in the French DNA, and very few people in the world have that in their DNA, there is the possibility of, yes, a revolution. This is what could be happening now — I'm not saying that it's going to happen, but this is definitely the preliminary stage, because it's not going away." Mercier said the tone of the protest is becoming more and more that Macron must resign. He noted that after the French president returned from the G20 summit in Argentina over the weekend, he visited the Arc de Triomphe where he saw graffiti that said, as well as heard protesters chanting, "Macron demissionner" (or, "Macron resign"). 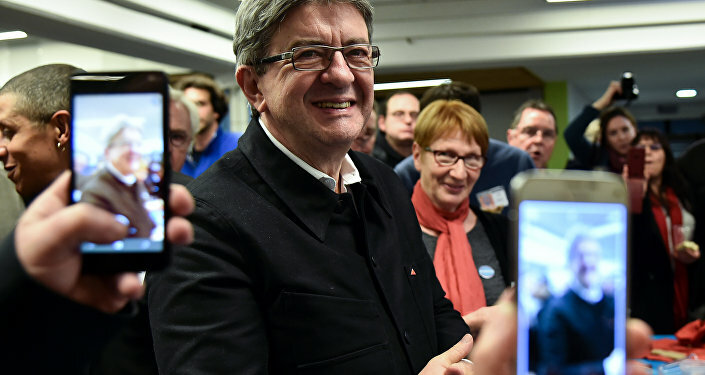 ​Indeed, the push for dissolution of the National Assembly is coming from both the political right and left, with Marine le Pen's Front National and La France Insoumise, led by Jean-Luc Melenchon, both supporting the initiative. "So, this is very serious. 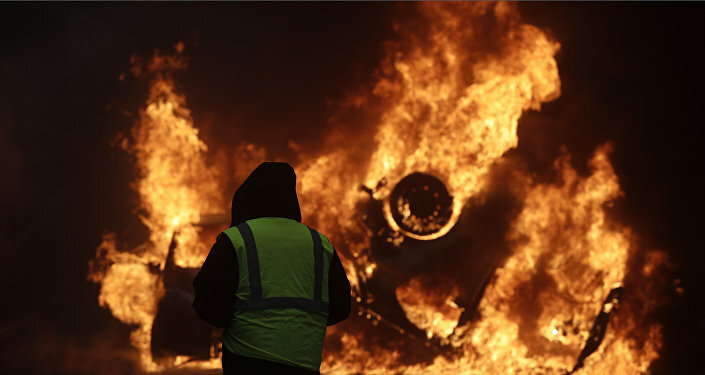 France is in a political crisis now," Mercier said, noting that police are calling for a return of the State of Emergency, which lasted from November 2015 to November 2017, even as the Ministry of Justice strongly opposes it, saying it would have the opposite of the desired effect and only radicalize the Yellow Vests even more. "So they're going to have to give in," Mercier said. "They're going to have, one way or another, to compromise on the very precise list — there's 42 points — which is of course not only about freezing the increase of gas taxes, but it's also putting back the tax on the rich — the ISF, the Impots sur les Fortunes — which was scrapped by Macron, because Macron is the president of the rich, and as a matter of fact, like his predecessor [Francois] Hollande indicated, not even the president of the rich but the president of the ultra-rich." "People are tired of this; people see that capitalism is a dead end, and this is what's going on," Mercier said, noting he hopes it spreads across Europe "and maybe elsewhere." Mercier told Sputnik that if the government "goes the route of repression," it's only going to backfire, just like it has already. The only way out for Macron, like Charles de Gaulle in 1968, "is to resign." However, he noted that instead, Macron is likely to use Prime Minister Edouard Philippe, who has been meeting protesters in the streets in an attempt at negotiation, as a fall guy.